Robert grew up in Endicott, New York and was drafted out of college by the Cleveland Indians. Following his professional baseball career Robert went to graduate school where he became certified to teach mathematics grades 7-12. In 1998, Robert decided to leave his teaching position in Syracuse, New York and move to Dallas, TX where he pursued an opportunity in financial services. After meeting his wife Stephanie they moved to California in 2004 where he founded Heritage Capital Strategies, Inc. (HCS). HCS specializes in life insurance solutions for business owners, affluent families, executives, and family offices. Robert has taken his experience as a former professional baseball player and high-school math teacher to differentiate HCS in the life insurance marketplace. He built HCS to utilize his mathematical and educational background to help clients and their professional advisors identify the best life insurance products and funding options for their planning objectives. Robert’s core beliefs are HCS should focus on the analytics of the life insurance transaction, be independent yet have access to world class products, and be committed to servicing our existing clients that built our success. These core beliefs and the firm relationship with M Financial have positioned HCS as a trusted resource for professional advisors and clients throughout the country. Robert, Stephanie, and their two children reside in Newbury Park, CA. They support their community through various school, sports, and philanthropic endeavors. As a former professional athlete Robert loves youth sports and volunteers to coach softball, baseball, and basketball. The family are active members of Sherwood Country Club in Westlake Village. Karen joined Heritage Capital Strategies in February 2011. As Vice President of Operations she is responsible for continuously improving efficiencies and the delivery of the broad based strategic plan. Karen manages all facets of the business and has a proven executive management track record with over 30 years of experience. Before joining the company, Karen was a Vice President with Marsh PCLIS/Second Opinion for 20 years. She spent those years in a variety of management positions including Case Management, Case Design, Commission Accounting and Policy Owner service. 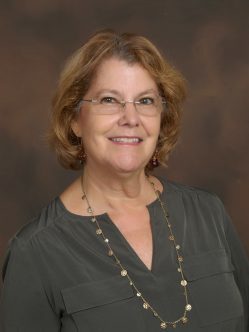 Karen has two grown sons and currently resides in Thousand Oaks with her husband Dennis. Douglas Lem, CEP® is a Senior Wealth Advisor at Heritage Capital Strategies. Doug has more than 38 years of industry experience in the design and implementation of advanced wealth transfer strategies for families of significant wealth, entrepreneurs and professionals. Heritage Capital’s boutique status as an innovative planning firm associated with M Financial was extremely attractive to Doug in serving his high net worth clients. 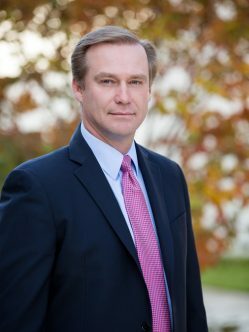 Prior to joining Heritage Capital Strategies, Doug owned his own independent life insurance agency for 25 years prior to joining UBS in 2001 as an in house general agent/FA in Northern California. He was transferred to the Beverly Hills branch complex in 2005 and assisted UBS FA’s in their estate, financial, and insurance planning until 2009. 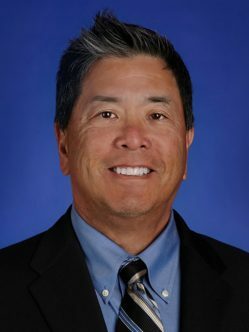 Doug joined Capitas Financial in 2009 and then Mercury Financial Group in 2011 serving UBS and other wire houses in the Southern California area. Doug provided design, and consulting services that help empower Financial Planners & Advisors, Estate Planners, and Certified Public Accountants to explore and view life insurance in the broader context of financial planning and wealth transfer. He is also a Continuing Education Instructor for financial advisors on the topics of business and estate planning. Doug was designated a Certified Estate Planner in 2008 by the National Institute of Certified Estate Planners. He holds a Bachelor of Science Degree from the University of California at Berkeley, where he majored in Math. Doug and his wife Lynn live in Playa Vista, CA. They have three grown daughters and a golden retriever. Supporting the firm’s strategic sales activity, Lyn assists the HCS team with a variety of marketing and administrative tasks such as client account assistance, document and database management, and appointment scheduling. 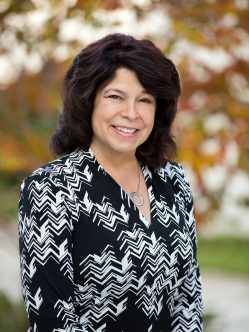 As a long-time Conejo Valley resident, Lyn has applied her communication and organizational skills in the healthcare and higher education fields, and has worked in the life insurance industry for several years. She earned her bachelor’s degree in journalism from Pepperdine University.